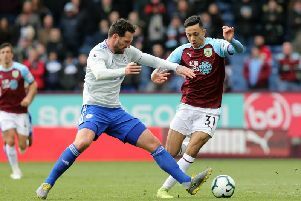 Clarets boss Sean Dyche feels Burnley will come back stronger for their Premier League experience. His side have two games remaining, after their relegation was confirmed at Hull City last weekend. But, ahead of tomorrow’s visit of Stoke City, Dyche points to the growth of himself as a manager, the players and the club after a season in the top flight. Dyche believes that will serve them well as they look to bounce back next season. He has already compartmentalised the events of last week, and said: “I am over it now. I was feeling it last weekend, but not now. “There are players here who have moved on massively during the last two years - one year getting out of the Championship and another in the Premier League. “At game 10 people were saying they would never win a game. “That is a lot to take on as a player, but look how we have come on since then. Dyche is already planning for next season in the Championship, with any disappointment not allowed to linger: “The point is - If you look back through my history - the club is the most important thing. “My planning is now to move forward myself with this club. We are planning trying to get his done, meetings, because we have a two-week advance on next season. “We are thinking ‘what do we need to do?’ We need to do this, that - the training ground is still going on, you will have seen the machines getting the pitches done, we have a two-week advantage. “You can cry or moan about it all you want, but you have to start looking up again. “Get the pitch done, see how it’s going, get the planning done.. how is that? and everything just keeps turning, moving forward.